I had the pleasure of visiting this up-and-coming cafe and roastery in Sao Paulo last week. I’d heard about it before going to Brazil. As one of the few Sao Paulo cafes that roast their own beans on the premise, I put this place on the top of my “To Do” list, with plans to visit if work didn’t eat all my free time. In the end, I spent about 3 hours, talking to the wonderful staff and trying many of their coffee “Rituals” (taste tests). After taking a quick look around the cafe, inside and out, I found a small table IN the roasting room. The aroma of the roasting coffee filling the air is amazing!! Each coffee is purchased in microlots, with as few as 5 bags of coffee. They even tell you the name and location of the farm! Their master roaster (please forgive me Sir, for forgetting your name) does 15 to 20 different test roasts. 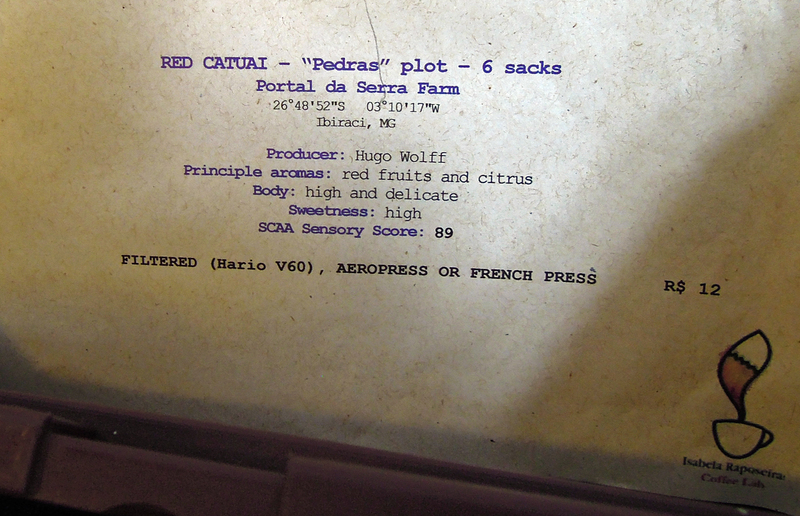 These are then cupped to find the best roasting ‘profile’ for each specific lot. What a HUGE amount of work! Their coffee “Rituals” offer pro and novice alike, a chance to learn more about the finer details that go into making that perfect brew. They examine such things as: Cup type, Water type, and brewing method (Aeropress/French Press/Expresso/Vario pour-over) just to name a few! Each tasting only changes ONE variable to allow you to examine what that EXACTLY is affected. I told myself that I would not actually drink the coffees, but to do more of a cupping. Just taste it and bring on the next batch. Even still, I found my head buzzing after 4 rituals and thought it might be a good idea to have a small snack with some filtered water (which is free for all). I decided to try a brioche. A warm slice of heaven! It’s served with 4 different condiments. I couldn’t decide, so I tried them all! YUM! Following my food break, I couldn’t help but order a few more coffee drinks. Everything was soooo good, I wanted to try it all! Normally I leave the milky drinks for the early morning, but the “Pingado” on the menu, caught my eye. It’s a tradiational Brazilian coffee, with a large portion of filtered coffee and a small amount of milk. (Imagine a cappuccino without the foam.) Quite tasty, I must say. 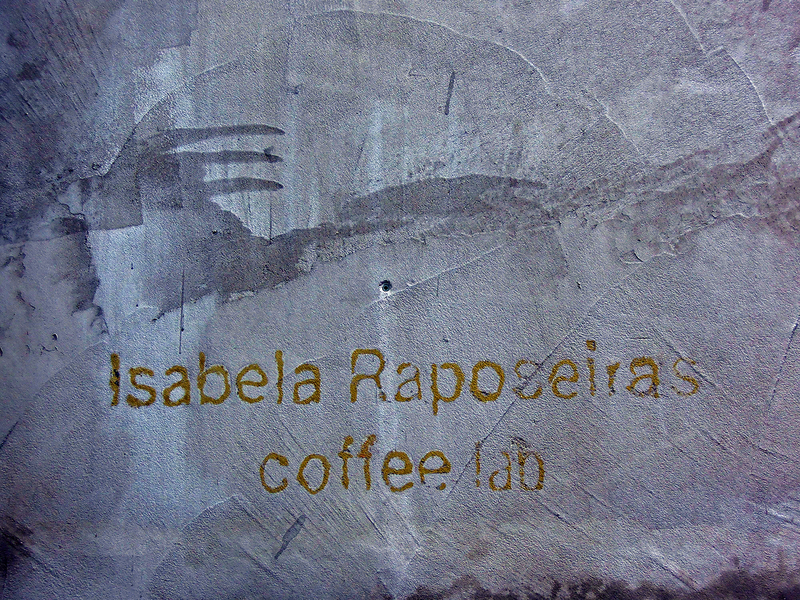 If you find yourself in Sao Paulo, you’ve got to make a stop at this cafe. Try as many rituals as you can. You’ll learn a LOT about coffee and have a new respect for those that prepare it well! I’d like to say a big THANK YOU to all of the staff. Your hospitality was extremely welcome. I hope to visit again soon! Great products for sale, but they’re not cheap! Espresso in a Tea Cup?? Thank you, Scott, for your kind words! it’s so rewarding to know our passion and science is shared by our visitors. Wish you great cups of coffee along your way!